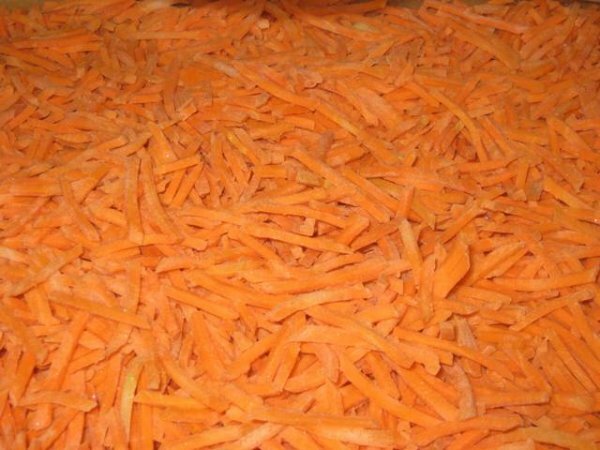 Diced carrot: Size 7x7mm: 60%, > 7x7mm: 20% , < 7x7mm: 20%. Packaging: In P.E. bag, with strong outside carton box of 20kgs net. Shipment and Storage: At -18 0C or less.